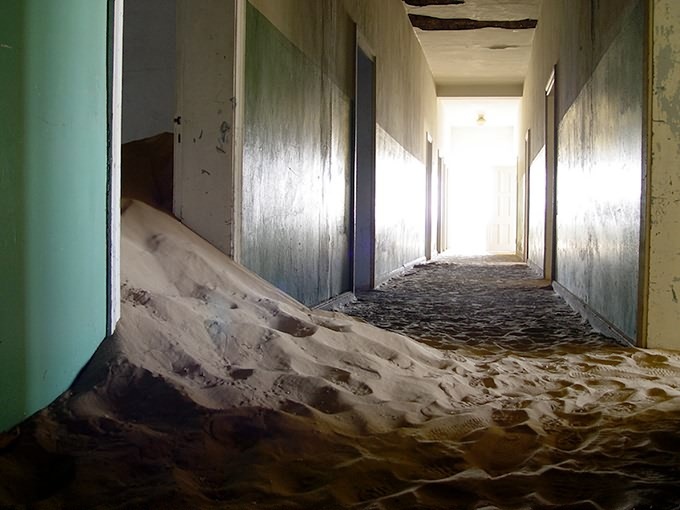 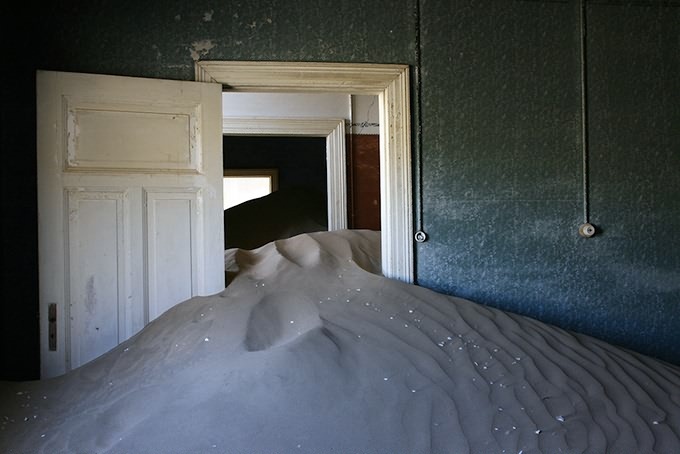 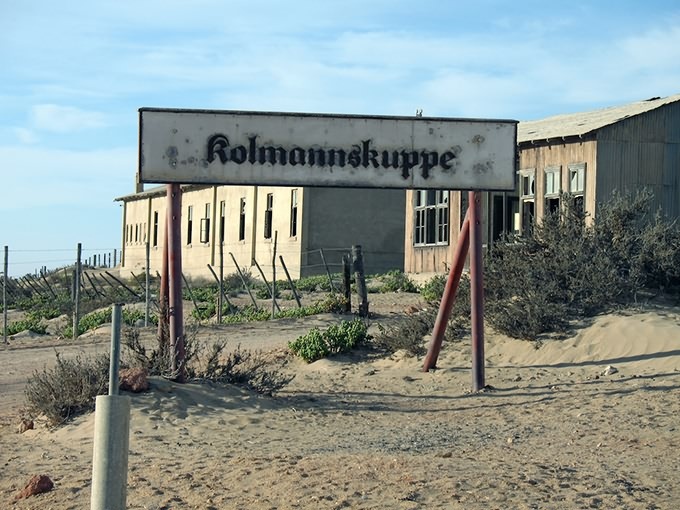 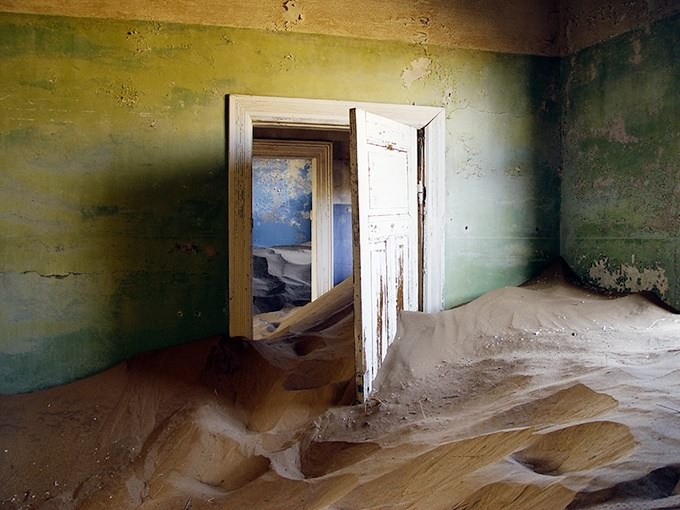 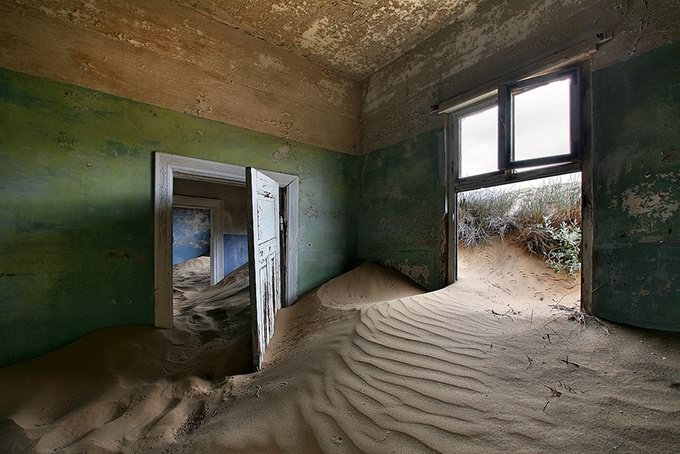 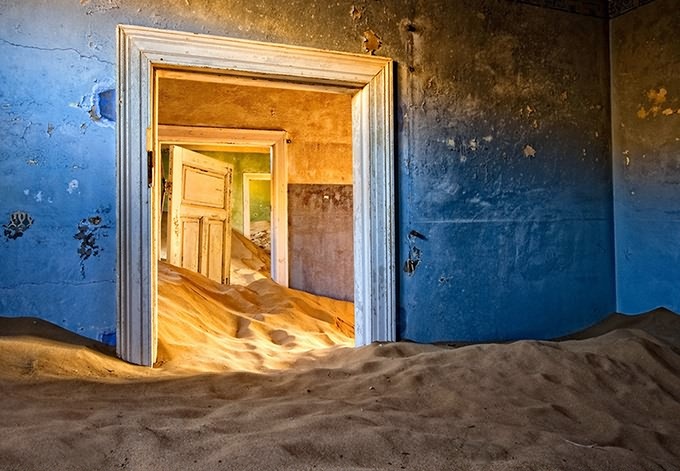 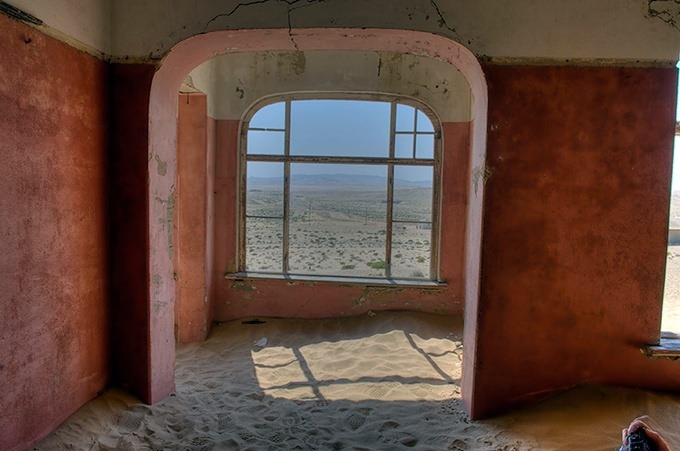 Kolmanskop is a small village situated at southern Namibia. 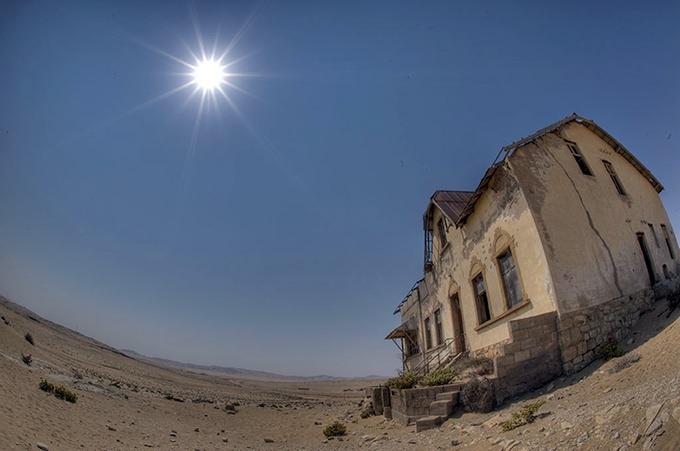 In 1908 the black worker Zacharias Lewala found a diamond while working in this area and showed it to his supervisor, the German railroad inspector August Stauch. 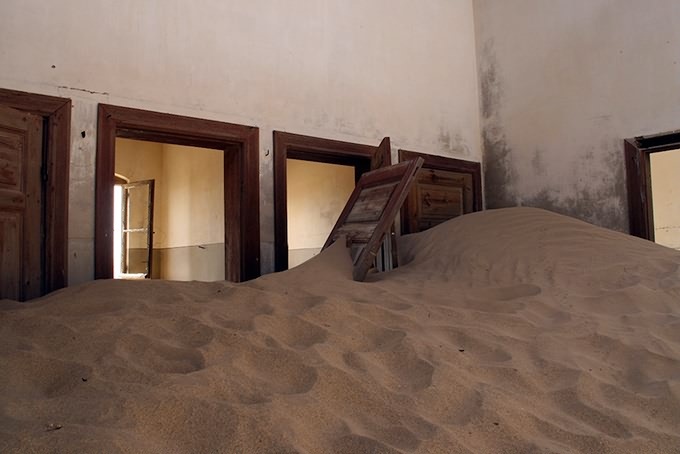 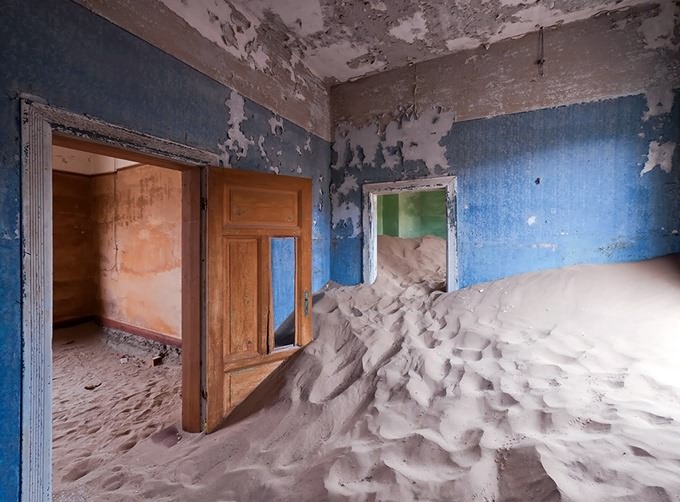 After realizing that this area is rich of diamonds, Kolmanskop became a mining town, but after the First World War when diamonds sales dropped, the sand-clearing squad failed to show up. 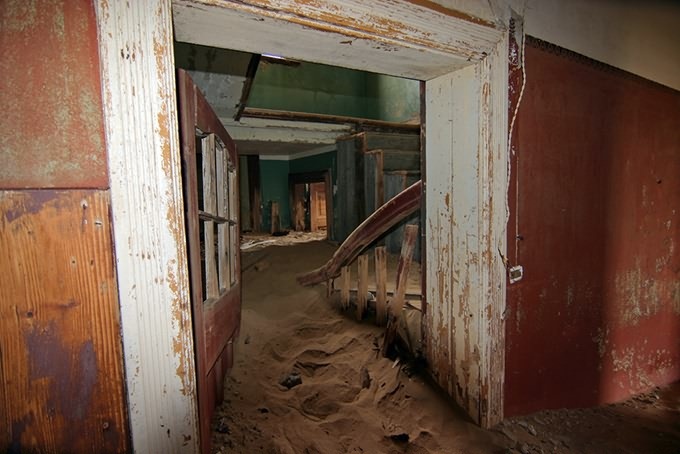 That was the beginning of the end. 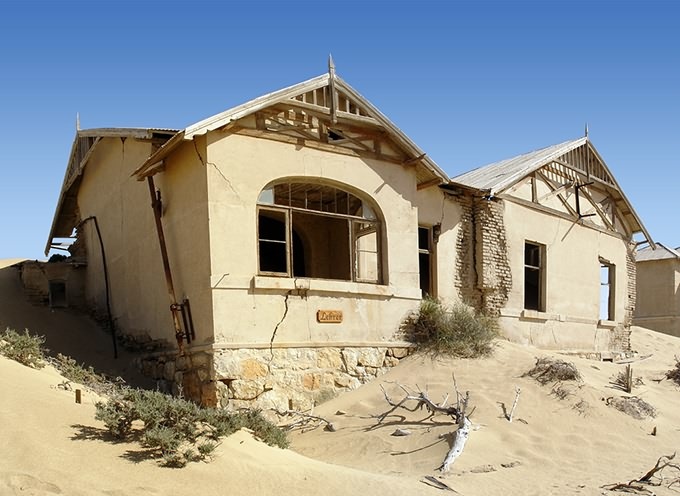 Now it's completely abandoned and famous tourist spot.